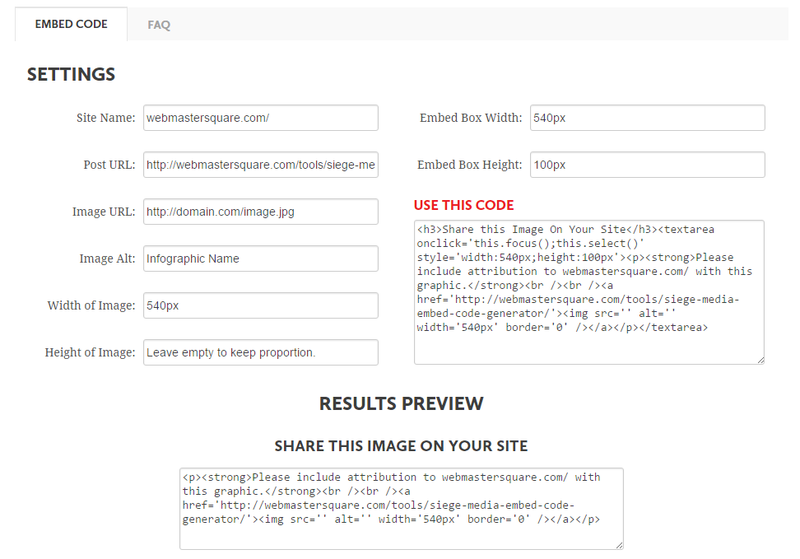 Embed Code Generator: Create embed codes for your infographics. Let everyone share it on their site! 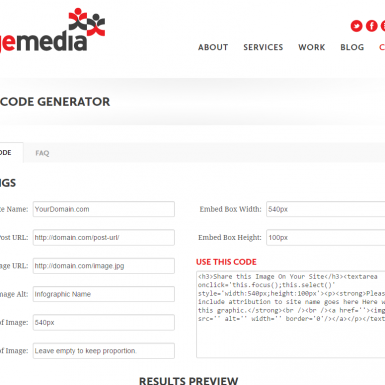 Embed Code Generator is very simple: get the code and paste it into your post page where you want it to appear. It’s especially cool how you can specify the dimensions of the embed code box. To get the code just fill a simple form. You are done! Copy and paste the appeared code into the HTML code of your web page (a blog post or other page type) where you want it to appear. Usually the best place is right under (or above) the picture. 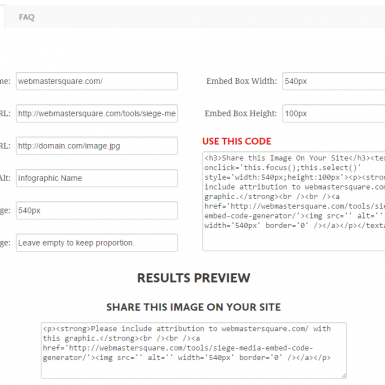 Now you have a “Share this Image On Your Site” window with a piece of code anyone can use to embed your infographics to their site.